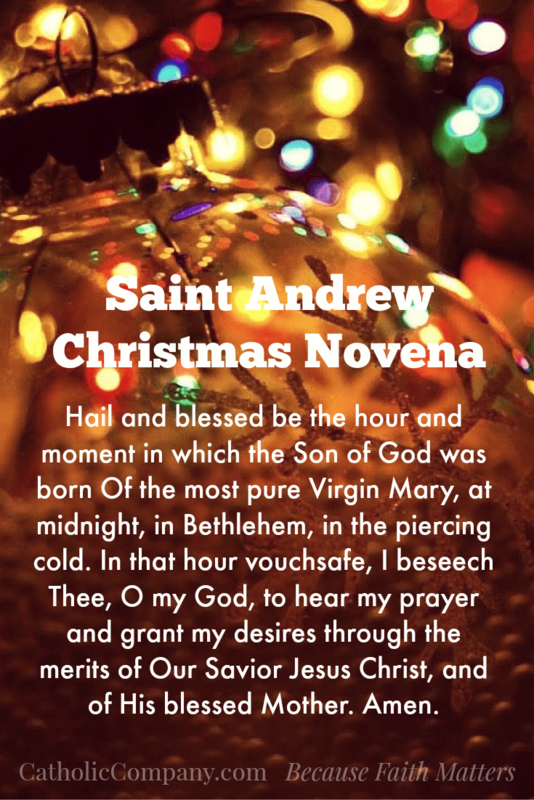 St. Andrew's Christmas Novena Begins November 30th! 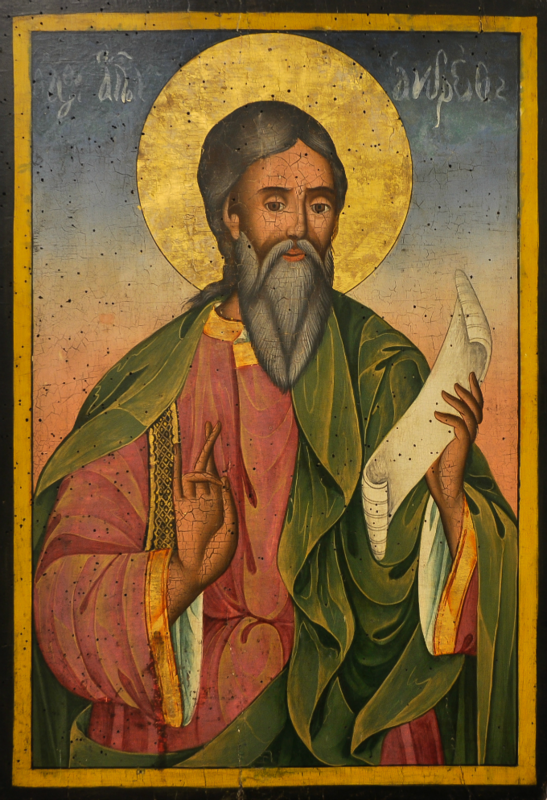 November 30th is the feast day of St. Andrew the Apostle. St. Andrew was the very first disciple called by Our Lord, and he is the one who got his brother, St. Peter, to become Jesus' disciple too. We all know how the rest turned out. 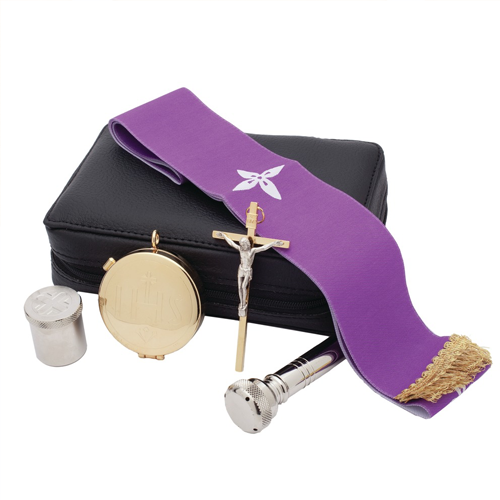 In keeping with his role as "the first", the feast of St. Andrew marks the beginning of a new liturgical year with the start of Advent: the Sunday that falls nearest to St. Andrew's feast day on November 30th is always the first Sunday of Advent. There are many popular traditions associated with St. Andrew's feast day, especially in those countries that have him as their patron saint: Scotland and Russia. But the most popular St. Andrew's feast day tradition is for everyone, and that is the tradition to begin a Christmas novena prayer on St. Andrew's feast day. 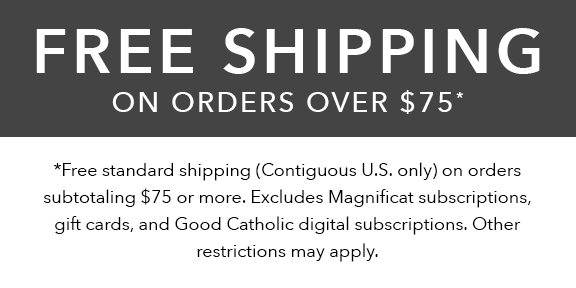 It's called the St. Andrew Christmas Novena, or more simply, The Christmas Novena, and it's a wonderful way to enter into the Advent season that is marked by a time of anticipation, penance, and prayer. While the origins of this prayer are unknown, it is over 100 years old (at least) and may have come from Ireland. If the St. Andrew novena was prayed as a regular nine-day novena, it would end on the Feast of the Immaculate Conception on December 8th. However, this novena prayer is actually traditionally prayed much longer than nine days---it is prayed through all four weeks of Advent. It is piously believed that whoever recites the St. Andrew Christmas novena prayer FIFTEEN times each day from the feast of St. Andrew (November 30th) until Christmas Eve will obtain the favor requested. 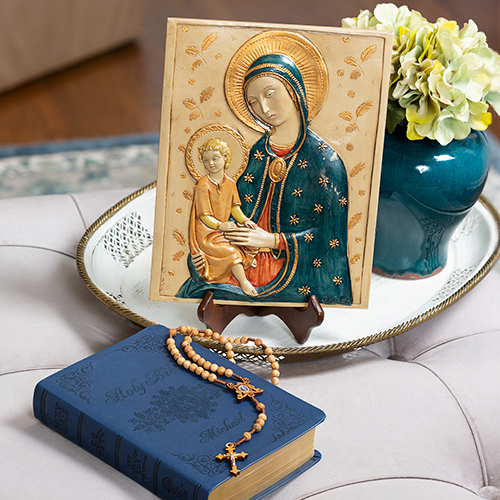 It won't be easy to pray this novena 15 times a day for 25 days, but if you are able to, this prayer will undoubtedly leave your heart well-prepared to welcome the coming of Christ. The beauty and sweetness of this prayer will unfold for you through its daily recitation, allowing you to meditate more fully on the profound mystery of the Incarnation. Go ahead and memorize it, copy and save it to your desktop, print it out and stick it to your car dashboard, write it on your arm, or whatever you need to do to help you remember to pray it each day until Christmas Eve! Prayer is an essential part of Advent. Reciting this special novena prayer each day is a simple yet beautiful way to celebrate the spiritual significance of the Advent season and to experience a deeper conversion to the heart of Jesus. The St. Andrew Christmas novena is commonly found in many Advent prayer books which are also loaded with many other beautiful prayers and traditions for this time of year. 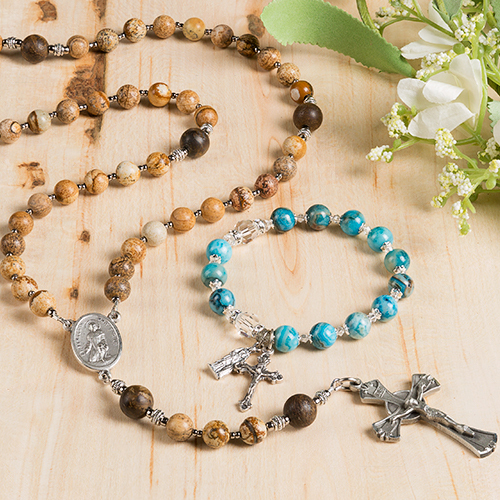 To make it easier to remember to pray the the novena, and keep track of the fifteen prayers, we've designed a St. Andrew Novena Bracelet specifically for this devotion! 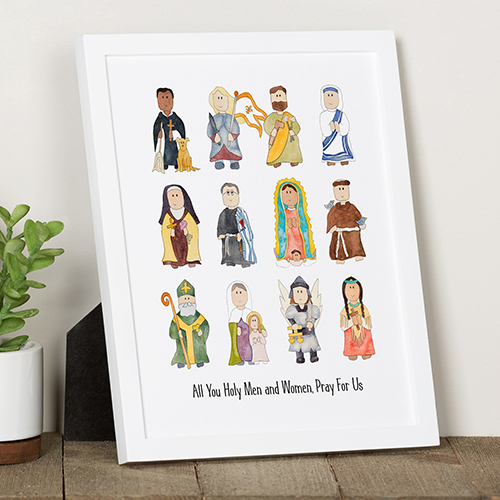 It comes with a prayer card of the novena so you can pray wherever you are throughout the day. 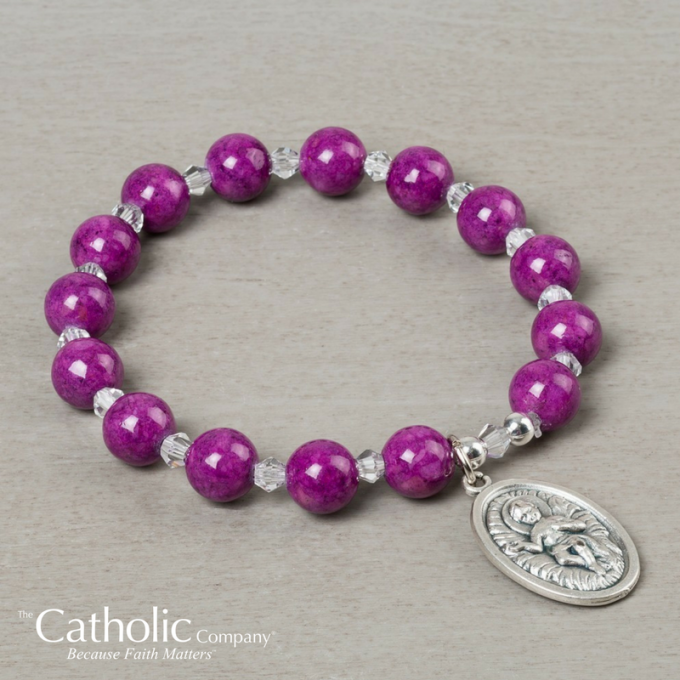 Click here to shop our St. Andrew Christmas Novena Bracelet. 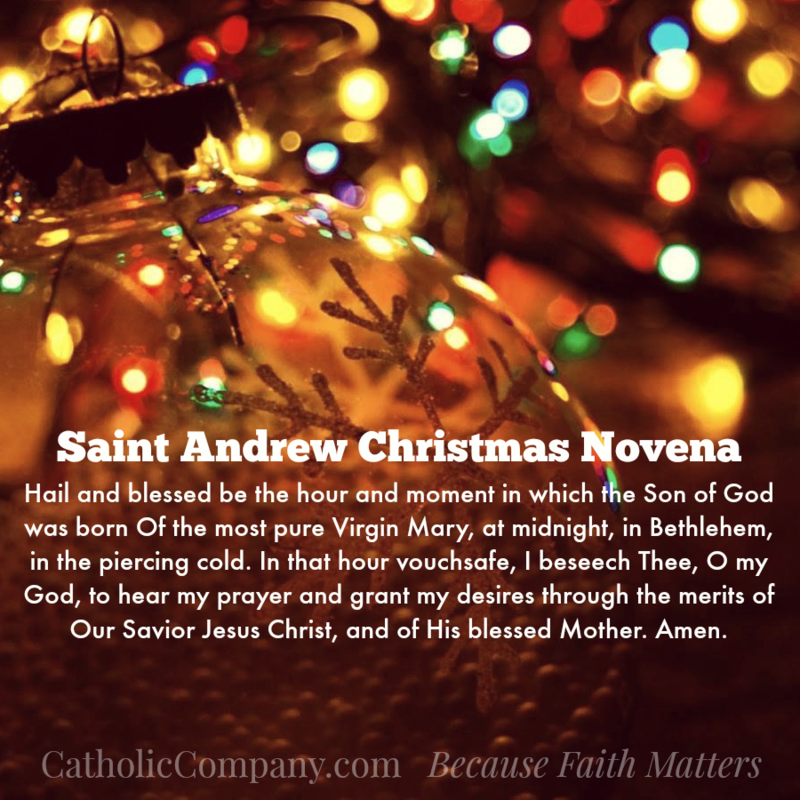 Have you made the St. Andrew Christmas novena a part of your Advent prayers in the past? 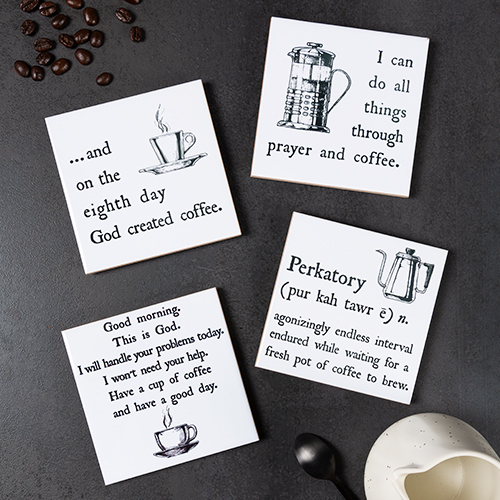 If so, what blessings and graces did you receive? This article has been updated and was originally published in November 2012. © The Catholic Company. All rights reserved. I have been saying this prayer for the past several years! Thank you St Andrew for prayers answered and Thanking you in advance for my answered prayer. I missed one day...will my prayers be mull & void? Hello Ralph, The most important part is to pray faithfully with trust in Our Lord’s love and mercy! He knows your situation. I am praying for my mother’s healing. Please Saint Andrew bless and heal your faithful servant! I’ve been praying the St. Andrew Christmas Novena prayer, and I thank you in advance St. Andrew for my answered prayer. My advent season is more peaceful and prayerful. I just found out about this prayer. Is it too late to start it ? Year, I am saying the prayer again with many request, and if none of them are answered, I have to just wonder why the prayer didn't work for me. When it did for so many others I know. I can imagine your disappointment, especially in the face of answered prayers you see around you. One thing to reflect on is that novenas are not guarantees of answered prayer in the way we personally want them answered. 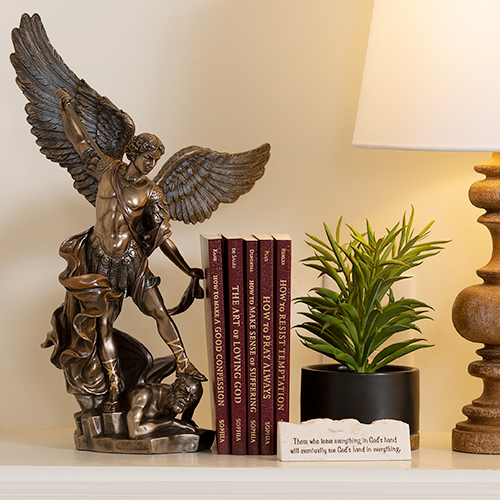 Especially in the face of heavy intentions or complicated situations, Our Lord may be doing interior work at this moment instead of work you can perceive externally. And receiving that kind of answer from God takes a greater dose of faith and trust! Don't give up; keep believing, trusting and loving! God bless you on your journey Rosemary. I didn't start it on Nov. 30, but just a few days ago. Will it still work? 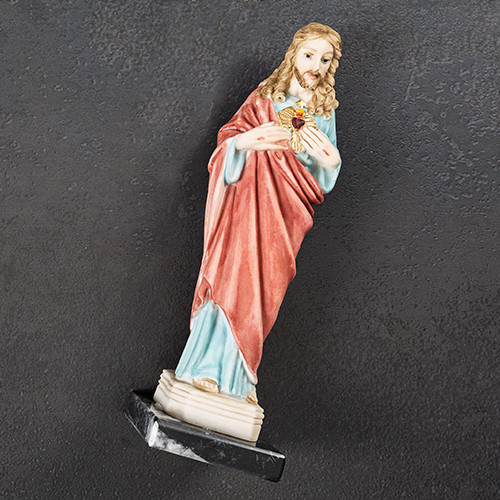 I betrayed my friend, broke the trust and need this novena for forgiveness and reconciliation. It is hard to say 15 times a day but I am trying. From the comments, it really seems to work. George - The most important part is to pray faithfully with trust in Our Lord's love and mercy! My friend Jeff was involved in an accident where he lost a good amount of his hearing. I prayed this prayer and asked for St. Andrew to intercede and pray for Jeff. Miraculously, Jeff’s hearing was restored 100%. God will grant you healing and a miracle but you must never give up on prayer no matter how long it takes. ?? Fr. Edward Sheridan first told me about this novena. One of my grandsons name is Andrew, so it is close to my heart. I tell someone new each year and remind the people I have already told about St. Andrew Christmas novena.? This prayer was recommended to me, but I realized that I had said it before. In eighth grade, we said this prayer every hour, on the hour, to”bless the hour”. A good way to remember is to say it every hour. I’ve been saying since I was 18 and now 62.,I encourage all to experience the peace , joy ,&love it brings to prepare for Christ season of pure love. please listen my special own intentions St Andrew. Father Joseph of EWTN spoke about this Christmas Prayer several years ago and I have been saying it ever since. Archbishop of NY 1897. 3rd archbishop. Yes, I have prayed this novena for so many years. And Christmas celebration seems to be more and more beautiful each year...lots of little miracles ( Christmas gifts from the Christ Child I call them). Do you know the reason why it is prayed fifteen times a day? Is this the only time that it can be prayed? Do you know of others who have prayed it other then now and have had their prayers answered? 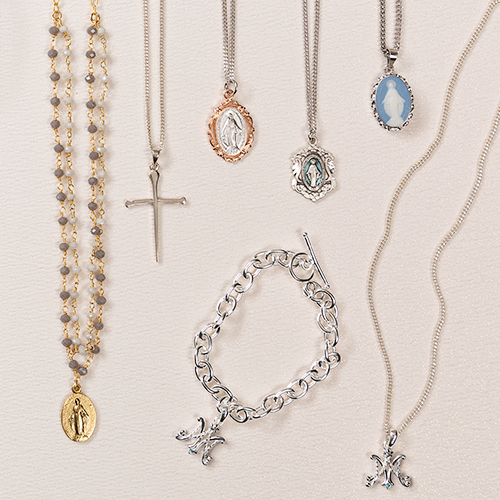 There is not a lot of written history about the novena; it appears to date back at least 120 years, and possibly originated in Ireland. I'm not sure that there's an official significance of the 15 times, but this is not the only place where we see a devotion that includes praying a prayer 15 times a day - for example, in the Angelic Warfare Confraternity members pray 15 Hail Marys a day for the intention of chastity of body and heart in oneself and the world. You can pray the prayers all at once or spread them throughout the day; which ever helps you most! As well, there are many testimonies in these comments with prayers answered. Thank you St. Andrew for prayers answered multiple times through this beautiful novena!!! Praise God in His saints!!!!! Merci d'avance Saint André pour ces faveurs sur ma famille et moi-même ! In 2016 I prayed the St. Andrew's novena and requested that I have a baby, after 7 years of my husband and I trying. Now in 2018 I'm holding my beautiful 6-month-old miracle boy in my arms as I start this year's novena. Thank you God for this gift, we are eternally grateful. I love this special novena prayer. Praying St. Andrew each day is a simple yet beautiful way to celebrate the spiritual significance of the Advent season and to experience a deeper conversion to the heart of Jesus! Blessed and grateful to celebrate the significance with St. Andrew. Thank you and blessings to all during this Advent season. It should be called 'St. Andrew's Christmas prayer' not Novena, since novena means nine. 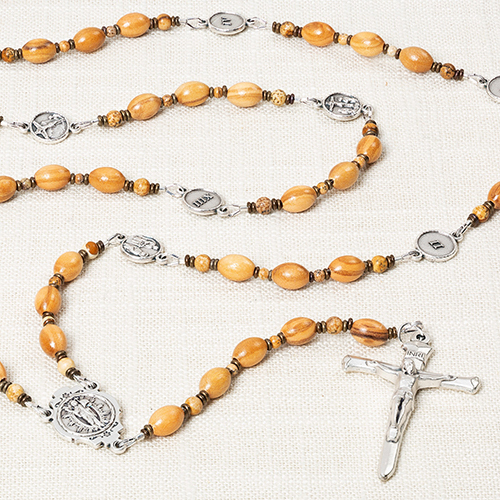 Praying for more than nine days does not make it a novena. I’ve been saying since I was 21 and now 62.,I encourage all to expierence the peace , joy ,&love it brings to prepare for Christ season of pure love. This was recommended to me. My first time but I am so excited to try it. Love that you warn us about keeping tract of the 15 times. Yes that will be hard. I know I will succeed! Thanks for the information. It was very informative. This prayer was introduced to our parish by a Mission Priest a few years ago and it is just beautiful to pray throughout the Advent season. I will post it on my fridge and keep it visible....many thanks in advance, Saint Andrew, for the favours received.